Headquartered in Berlin, Sensorberg Technologies is an IoT company which makes it possible to interact digitally with responsive environments such as smart office, smart living, and smart storage, just by using a smartphone. 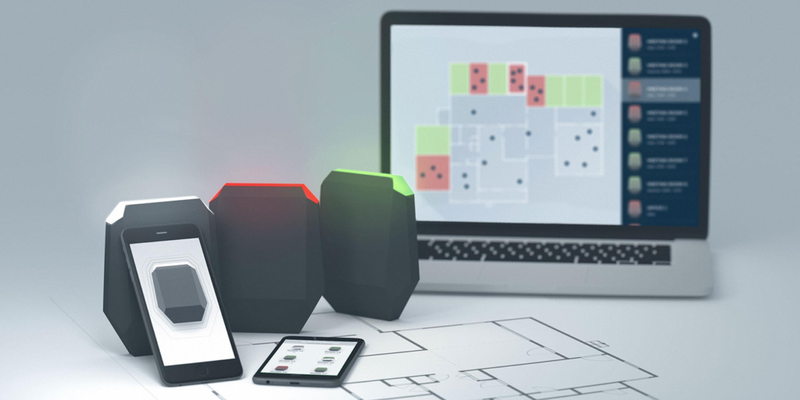 Headquartered in Berlin, Sensorberg Technologies is an IoT company providing hardware and software enabling people to interact with building spaces. Udo Schleomer, the CEO of the Factory Berlin and one of the partners of Sensorberg Technology, says: “Sensorberg is the only property tech solution which is built around people and not buildings.” Within 10,000 sqm, there are 150 access control systems installed and more than 2,000 people using this technology. By analyzing data, the smart technology meets the people’s individual needs of the space and enables both sides to interact. It further helps users of the app navigate their way around the building, find available rooms or to open a locker using only their digital key. Sensorberg Technology provides tips on improving working conditions and creating a comfortable environment for its users. This includes perfecting the sound levels, lighting, temperature, CO2 concentration, and humidity in the building. By generating real usage data, it encourages building owners and managers to be more aware of the energy consumption and efficiency. The open sensor network infrastructure meets the individual needs of its current surroundings. Digital lockers, which are combined with interactive maps and location-based information, allow people to communicate with the building. The system is compiled of three simple components: the Access Hub (intelligent open hardware), a Mobile App, and a Control Center (web-platform). With the App, the Sensorberg solution strengthens the sense of community within the property. Users receive important status updates via the app to ensure a more efficient use of the spaces. In addition, the community can also use the App to communicate with each other. For instance, the employer can facilitate a direct communication channel with his or her employees. According to Michael von Roeder, the CEO of the Sensorberg, the startup started out as a local provider of beacon-networks. “Now Sensorberg is becoming an internationally respected industry partner that enables the digitization of business models and the automatization of industrial and non-industrial processes”, says M. von Roeder. In the near future, Sensorberg Solution is planning to expand into the hotel sector. Could Datumate Prevent Civil Engineering Failures?